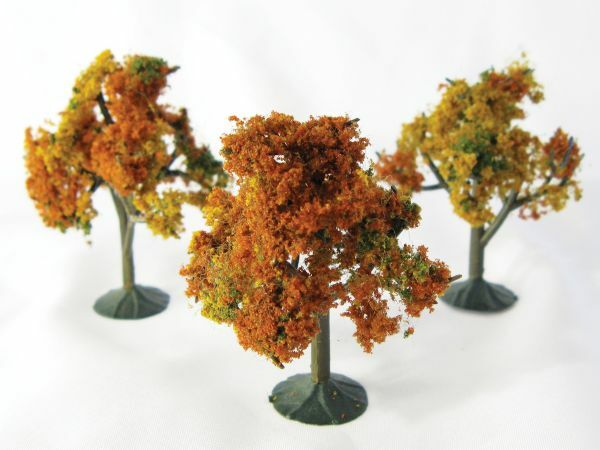 Wire foliage trees are bendable coated wire trees that are complete with foliage in various natural colors. * Create trees shrubs bushes undergrowth and saplings. * Other model trees provide already-assembled tree species. * Produced with a unique 3-D plastic molding technique resulting in branches that reach out in four directions. Size: 2 1/4" - 2 1/2"
5.88" x 5" x 1.5"